“I greatly enjoyed touring the Armond King Apartments and Advocate Children’s Hospital’s Care Mobile today. Both are excellent models for how government funding benefits children, seniors, and the disabled. I am proud to see these examples at work in my district, and thank the hard-working women and men who invited me to see first-hand the great work they do to provide health care and housing. “Unfortunately, President Trump’s first full budget outline targets and threatens programs like these, instead of using them as models. His budget cuts grant programs and investment partnerships that would mean fewer affordable homes being built and less help for Americans struggling to afford a place to live. His cruel and immoral budget would mean that 23 million Americans lose their health insurance, including 13 million who are currently on Medicaid. It would also cut the Medicaid program by $1.3 trillion. 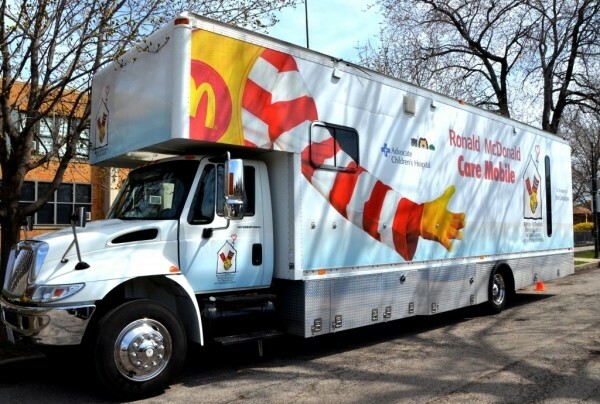 That would mean that the Care Mobile would see the number of children and families who need their service increase significantly, while facing a sharp drop in funding.